Today’s Special! The Ditch the Wheat Cookbook releases Today! Remember that show Today’s Special? Maybe that was only a Canadian t.v. kid’s show???? Anyways it was about a mouse that lives in a mall and the store mannequins come to life at night. Back to the point. Today’s special because my much anticipated first print cookbook, Ditch the Wheat, hits your local bookstore shelves today!!!!! It’s Ditch the Wheat cookbook release day. If you don’t want to go to the store you can find it on Amazon here. BUT if you do go to the bookstore today please take a photo of the cookbook and tag me on Facebook, Twitter or Instagram! 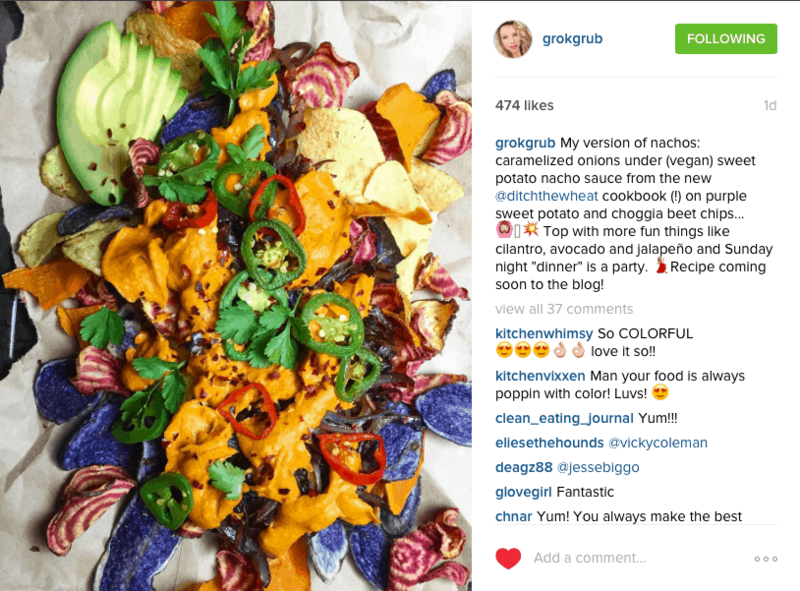 @grokgrub made the sweet potato nacho dip from the cookbook but in a clever twist she used it as nacho cheese for her nachos!!!! This dip is dairy free and tastes amazing! Taste testers found it addicting. 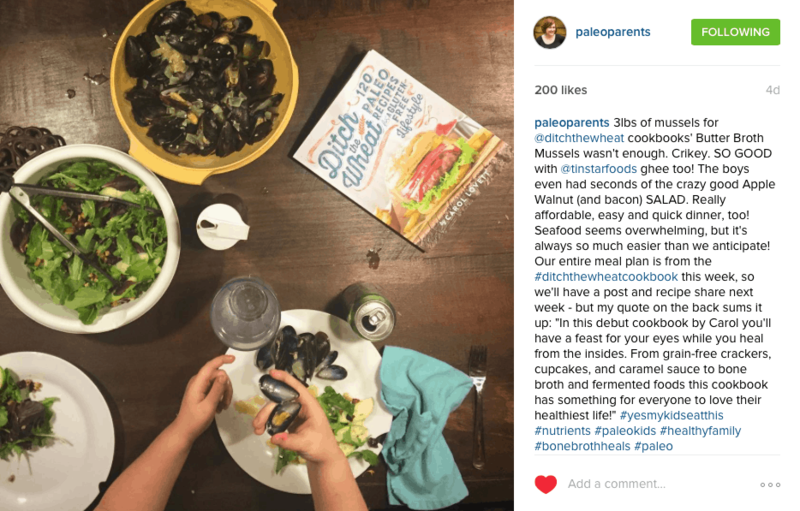 @paleoparents have been making A LOT of recipes from the cookbook. I knew they liked to cook but wow they really LOVE to cook. In this photo they made the Butter Broth Mussels and the Apple Walnut Salad. Butter Broth Mussels…. it’s a crazy recipe of mine where the mussels are cooked in a chicken broth with butter and other stuff. It is sooo good. You’ll find yourself drinking this broth. 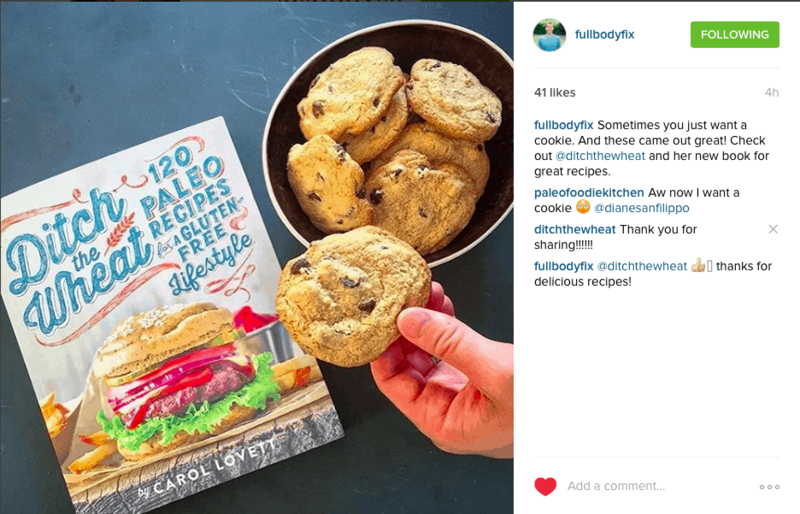 @fullbodyfix made the Chocolate Chip Cookies from the cookbook!!! It is an almond flour based recipe but you should be able to use cashew flour without any issues if you can’t eat almond flour. So I have to admit that even though I run an online business I can’t figure out technology or how to work my iphone. 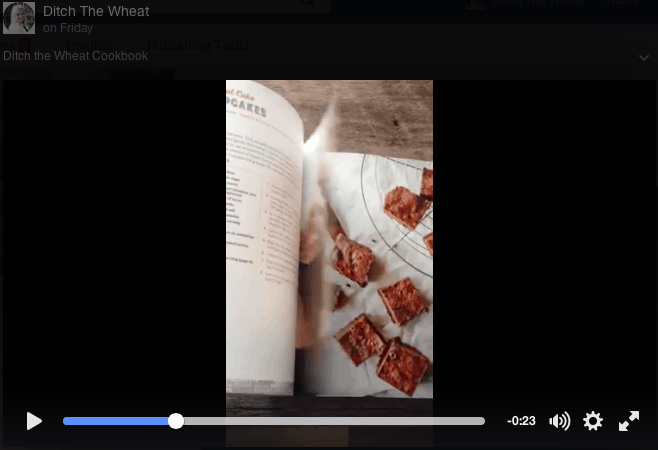 I posted a video of me flipping through the cookbook to the Facebook Ditch the Wheat page. It took me like 2 hours to figure out how to upload it. You can watch the video here. 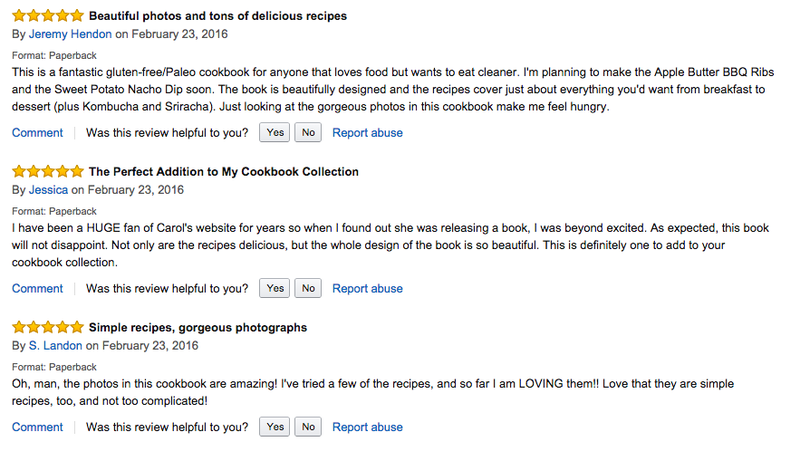 The cookbook already has three 5 star reviews on Amazon!!!! You can read the reviews on Amazon here.